Having done a lot of range shooting especially in field rifle matches I learned the importance of using a sling and using it well quite early. It naturally followed that I would also learn to apply what had been learned on the range to using a sling out hunting or on vermin control shoots. I’m aware that opinion on the use of a rifle sling varies, some experienced shooters don’t bother, or will claim that a sling has no benefit unless you can get support for one or both elbows, such as when kneeling or sitting. Those sorts of ideas just don’t fit with my own experience or training, I find I get significant benefit from using a sling offhand, and also kneeling, sitting and prone. I also find that practicing to use the “hasty sling” beginning with carrying the rifle on the “weak side” shoulder muzzle down is very worthwhile. For those not familiar with this click here to watch a short video by David E Petzal on the Field and Stream website. A rifle sling type that has become very popular with shooters who take sling use seriously is the Latigo. It enables the shooter to use it in the style of the “hasty sling” and also it allows quick and intuitive adjustment for a variety of shooting positions, this is particularly important when moving from offhand, kneeling or sitting sling adjustment (which remain largely the same) to prone, which requires quite different adjustment. 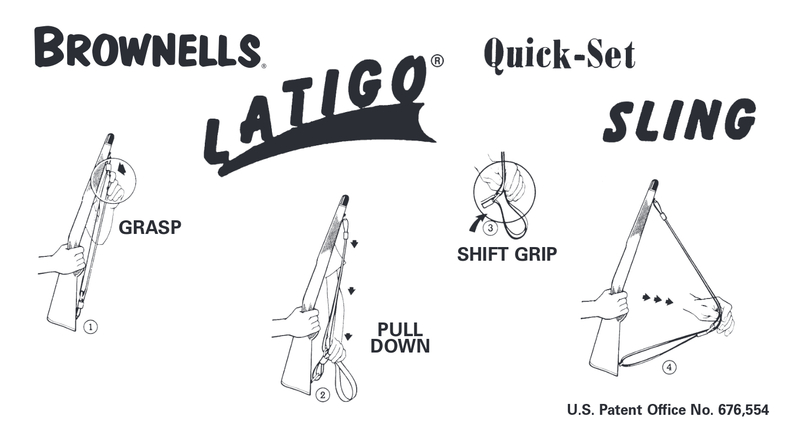 The Latigo sling is easy to install and easy to use. You’ll find the instructions in downloadable PDF format on Brownells web site if you click here. The Brownells Latigo® sling is made using a continuous 84″ to 86″ strip of pit-tanned Swiss and German leather. 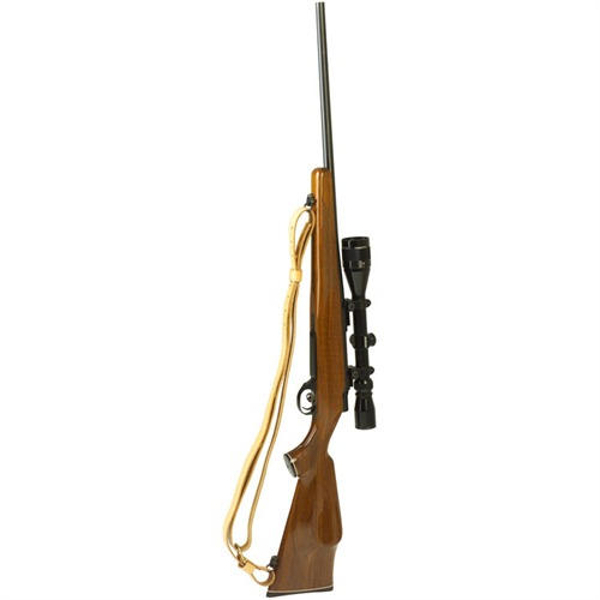 These slings are made by craftsmen and are a top quality accessory to add to your rifle. 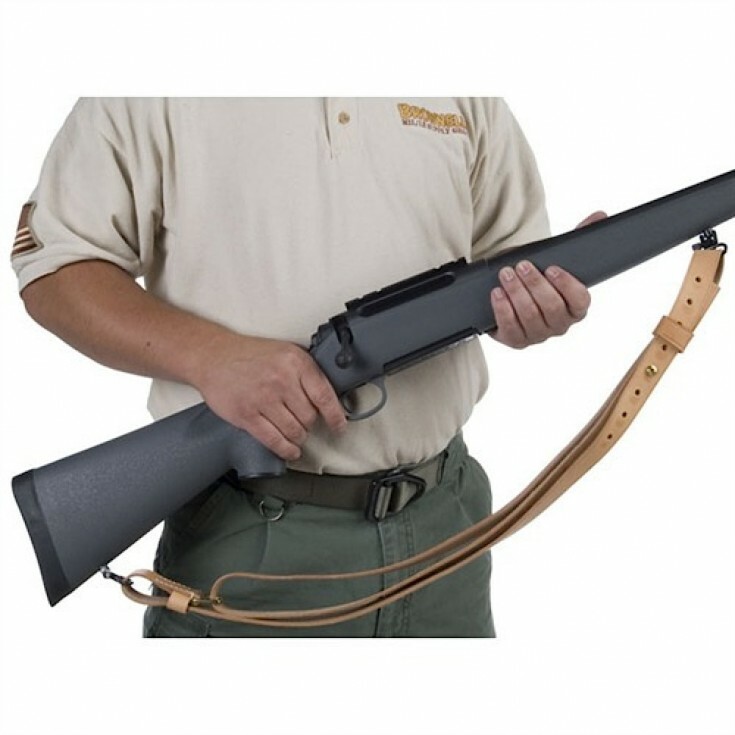 You can purchase a Brownells Latigo® sling from Brownells in 1″ or 1 1/4″ width either with or without QD swivels if you click here.